This is a review of Piping Rock Candida Support, which is a natural herbal supplement for intestinal health. It has three main purposes: support a healthy balance of intestinal bacteria, aid in food digestion, and improve detoxification. These natural herbal ingredients help promote intestinal health. Biotin produces cholesterol and helps process protein, carbohydrates, and fatty acids. Magnesium increases stomach acid production, which helps aid the digestion promise. Caprylic acid, oregano, and Pau D’Arco specifically help fight against candida yeast infections, which decreases bloating and IBS. Deodorized garlic helps overall digestive health. Wormwood is often used to cleanse harmful bacteria from the body. Dong Quai has many purposes and is often used for female health concerns. However, it is also supposed to positively influence gastrointestinal health. Peppermint helps the body digest fat easier. Black walnut fights against candida and can improve constipation problems. Turmeric releases bile which aids in digestion. Ginger is often used to settle the stomach and reduce nausea. FOS protects the stomach from harmful bacteria. Adults should take two capsules a day. While they don’t have to be taken with meals, it is preferable to do so. It is unclear whether the capsules should be taken together, or if one should be taken in the morning and one in the afternoon. Pregnant and nursing women should not use this product without a doctor’s recommendation. Children should not use this product. Piping Rock Candida Support can be purchased through the manufacturer’s website. One 90-capsule bottle costs $8.99. It is currently 25% off. Customers can also purchase two 90-capsule bottles for $15.99. 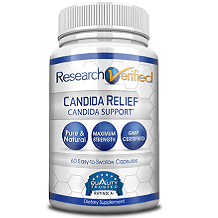 Piping Rock Candida Support can also be purchased off of third-party websites, such as Amazon, for the same price. Fortunately, the manufacturer does offer a guarantee for domestic orders. Unsatisfied customers can send back the unused portion within one year. A full refund, minus shipping and handling costs, will be given. The manufacturer’s return policy is subject to change at any time. Furthermore, the manufacturer offers a separate return policy for international orders. International customers can return unopened products within 60 days. International customers will also receive refunds if their order is returned due to a banned product policy, incorrect shipping address, or if no one is available to accept package upon arrival. 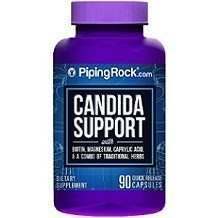 Piping Rock Candida Support seems to be a decent supplement for improving intestinal health. This product is priced very well. One bottle of Candida costs less than $10 and should last customers a little over a month. However, cheaper may not always mean better. Sometimes this may indicate a poorer quality product. Piping Rock Candida Support is formulated from natural ingredients, which decreases the chances of experiencing side effects. Furthermore, the manufacturer allows all customers to return their products. Although, the return policy does differ slightly for international orders.